The World Meteorological Organisation WMO), is the successor of the International Meteorological Organisation (IMO) which was created in 1873. Its fundamental mission is to support the countries of the world in providing meteorological and hydrological services to protect life and property from natural disasters related to weather, climate, and water, to safeguard the environment, and to contribute to sustainable development. This cannot happen without the necessary observations, research and operations that develop the understanding and knowledge of weather and climate. Since 1961, World Meteorological Day has commemorated the coming into force on 23 March 1950 of the Convention establishing the World Meteorological Organization (WMO) and the essential contribution that National Meteorological and Hydrological Services make to the safety and well-being of society. Each year, the celebrations focus on a theme of topical interest. 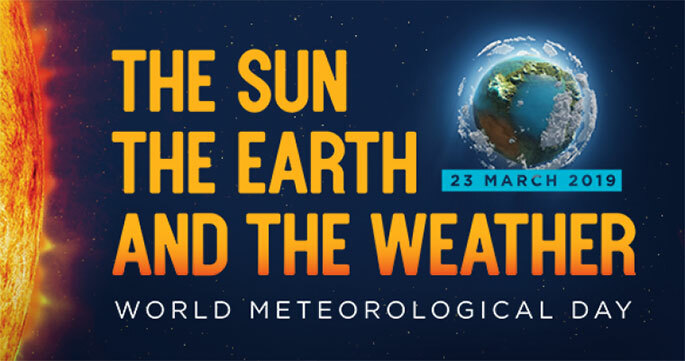 The theme of World Meteorological Day 2018 was “Weather-ready, climate-smart”, which looked at the growing hazards – such as tropical cyclones, storm surges, heavy rains, heat waves, and droughts – that are threatening global populations. It is one of WMO’s top priorities to protect lives, livelihoods, and property from the risks related to weather, climate and water events. The Sun delivers the energy that powers all life on Earth. It drives the weather, ocean currents and daily activities. It is the inspiration for music, photography and art. The theme for the 2015 World Meteorological Day “Climate knowledge for climate action,” provided an opportunity to take stock of the climate knowledge built during the last decades, as an essential base to support the path towards more ambitious action to address climate change and climate variability. 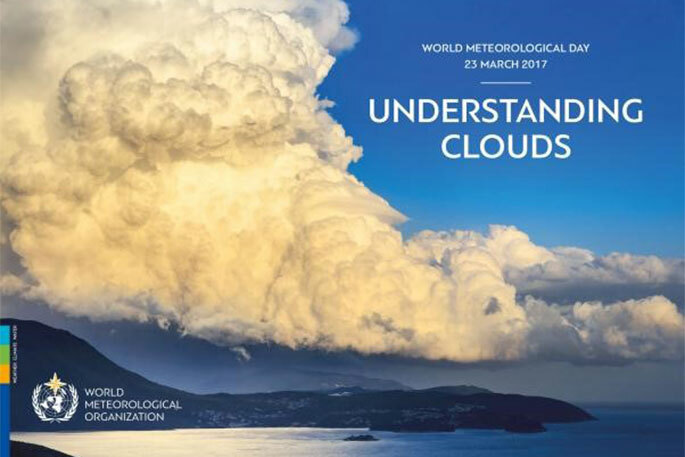 The NZ MetService communications meteorologist Lisa Murray says that “Understanding Clouds” the theme of World Meteorological Day 2018, was to highlight the enormous importance of clouds for weather climate and water. It also marks the launch of the new edition of the International Cloud Atlas, the single authoritative and most comprehensive reference for identifying clouds and a treasure trove of hundreds of images of clouds, including a few newly-classified cloud types. The structure of the WMO which has headquarters in Geneva involves the Congress, the Executive Council, and eight Technical Commissions. The World Meteorological Congress, the supreme body of the Organisation, assembles delegates of Members (countries) once every four years to determine general policies for the fulfilment of the purposes of the Organisation; to consider membership of the Organisation; to determine the general, technical, financial and staff regulations; to establish and coordinate the activities of constituent bodies of the Organisation; to approve long-term plans and budget for the following financial period; to elect the President and Presidents of the Organisation and members of the Executive Council; and to appoint the Secretary-General. The Executive Council is the executive body of the Organisation, which meets annually, implements decisions of Congress, coordinates the programmes, examines the utilization of budgetary resources, considers and takes action on recommendations of regional associations and technical commissions and guides their work programme, provides technical information, counsel and assistance in the fields of activity of the Organisation and studies and takes action on matters affecting international meteorology and related activities. The Council is composed of 37 directors of National Meteorological or Hydrometeorological Services, serving in an individual capacity as representatives of the Organisation and not as representatives of particular Members thereof. They include the President and three Vice-Presidents who are elected by Congress, and the presidents of the six regional associations. The remaining 27 members are elected by Congress. There are also eight Technical Commissions which are composed of experts designated by Members and are responsible for studying meteorological, climatological, and hydrological operational systems, applications and research. They establish methodology and procedures and make recommendations to the Executive Council and the Congress. The Technical Commissions usually meet once every four years, when they elect a President* and Vice-President. *From 1989 to 1996, I was President of one of Technical Commissions, namely the “Commission for Climatology” . In addition, three others from New Zealand have been Presidents of WMO Technical Commissions, Dr Jim Salinger (Commission for Agricultural Meteorology), Dr Neil Gordon ( Commission for Aeronautical Meteorology), and Dr John Gabites (Commission for Atmospheric Sciences).